On behalf of admin of JML Law, A Professional Law Corporation posted in Wrongful Termination on Wednesday, Apr 18 2018. The vast majority of employment arrangements are based on an “at will” agreement. Under that type of deal, an employer can terminate you for virtually any legal, nondiscriminatory reason and you can leave employment at any time. You can often assert that there was an “implied contract” in a wrongful termination case. That is, you can argue that the agreement between you and your employer was more than at-will employment, and the employer cannot terminate you as easily because of your unique situation. These situations are tricky, so be sure to talk to a wrongful termination lawyer to determine whether you might have an implied contract for your employment. An implied contract is not based on a written agreement. Instead, it is based on the actions of both you and your employer—you both act as if there is an employment contract in place. If an employer fires you despite this agreement, you can sue for wrongful termination. Some employers will come out and say that they expect that you will continue with the company for years to come. Others are not as straightforward. 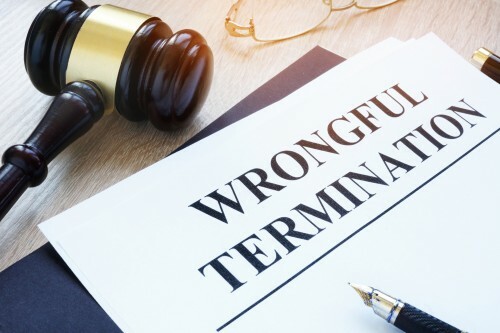 Your wrongful termination attorney will be able to examine the facts of your situation to determine what kind of information you should present to a judge or jury. Even where you have an implied contract, your employer can usually still terminate your employment if it has good cause. Good cause could mean a variety of factors, but it often includes things like poor performance or violations of company policies. California law is somewhat strict on implied contracts for employment. If the employer tells you at any time that you are considered “at-will,” then your actions generally will not override that notation. These provisions are often found in employee handbooks. Employers will even provide them automatically just to ensure that an implied contract is not available as a defense for those who claim wrongful termination. A wrongful termination lawyer can help you decide whether you have an opportunity to claim that an implied contract existed. Schedule your case evaluation with JML Lawyers to find out more about wrongful termination and the compensation you may be able to recover in this type of case.